This indicator helps you to find overbought and oversold prices based on William %R. Wperiod: Period for %R indicator. OverBoughtLevel: Define the overbought level for %R. Must in between 0 and -50. OverSoldLevel: Define the oversold level for %R. Must in between -50 and -100.
middle_value: When true, indicator also draw the middle points between upper and lower line. shift: Set an additional offset to the indicator. 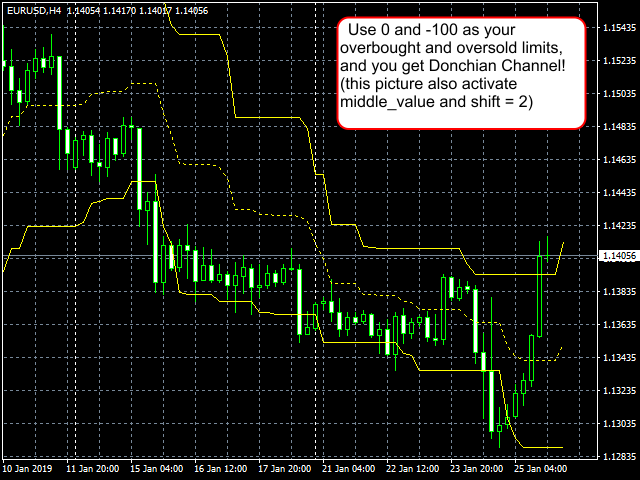 Set 0 and -100 as Overbought and Oversold levels, and you get Donchian Channel! 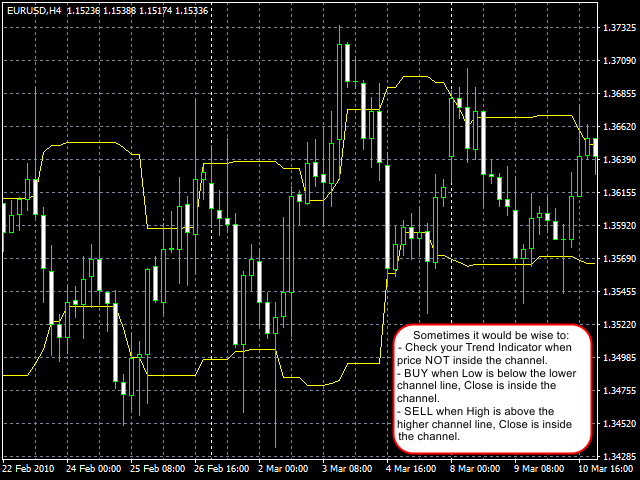 Check your Trend Indicator when price is NOT inside the channel. 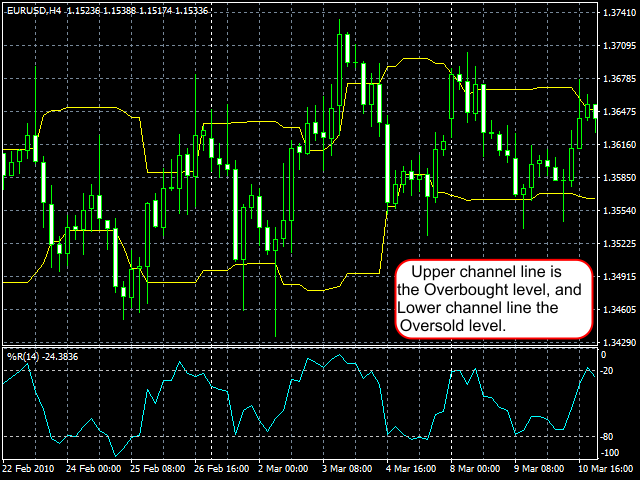 BUY when Low is below the lower channel line and Close is inside the Channel. SELL when High is above the higher channel line and Close is inside the channel. Added middle_value and shifts. Also enabling 0 and -100 as limits. Becomes FREE since it may turn into Donchian Channel.